MONDAY, June 19, 2017 (HealthDay News) -- The rate of opioid addiction among Americans age 25 and under rose nearly sixfold from 2001 to 2014. But few young addicts get medical treatment that might prevent overdose or relapse, a new study finds. Only about 27 percent of youths treated for addiction to prescription painkillers or heroin receive either buprenorphine or naltrexone, two recommended anti-addiction medications, researchers reported. "These medications are considered the evidence-based standard of care for opioid addiction by the American Academy of Pediatrics," said lead researcher Dr. Scott Hadland. He's an assistant professor of pediatrics at Boston University School of Medicine. Buprenorphine (Buprenex, Suboxone) has been shown to reduce cravings, while naltrexone (Revia, Vivitrol) blocks the high from opioids, he said. The most effective treatment includes medication plus counseling to get to the psychological root of the addiction, Hadland said. Largely because of addiction to heroin and painkillers like OxyContin (oxycodone) and Vicoprofen (hydrocodone), drug overdose deaths have tripled since 2000 in the United States, the authors said in background notes. For this study, the researchers reviewed private insurance claims data to identify teens and young adults, ages 13 to 25, diagnosed with an opioid addiction from 2001 through June 2014. Out of almost 10 million patients overall, they found nearly 21,000 got an addiction diagnosis, at an average age of 21. That rate increased nearly six times from 2001 to 2014, Hadland said. Of nearly 5,600 who received either buprenorphine or naltrexone within six months of diagnosis, nine out of 10 got buprenorphine. Naltrexone was a distant second choice. Very few of the youngest addicts got either drug, however. Of 16- and 17-year-olds, only 1 in 10 received them. For those 15 and younger, only 1.4 percent got them, Hadland said. The report was published online June 19 in the journal JAMA Pediatrics. Hadland also suspects that too few adolescents and young adults receive counseling. "Across the U.S., only about 1 in 12 adolescents and young adults who has an addiction receives any treatment for it," he said. One reason is that too few pediatricians and family doctors are familiar with opioid addiction or trained in how to treat it, he said. "In light of the national opioid crisis, it's really now more important than ever to ensure that providers are receiving the training," Hadland said. 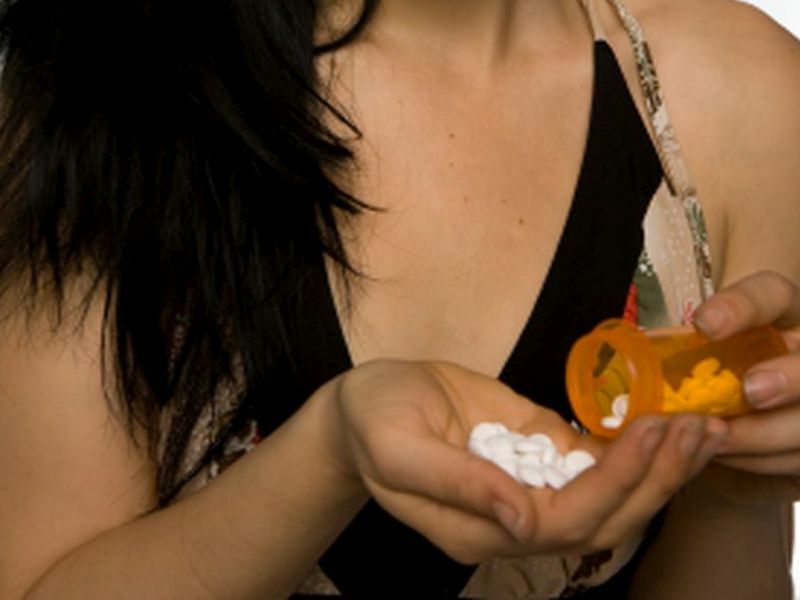 "The problem of opioid addiction is getting worse, and we need to catch up in terms of access to care," said Dr. Metee Comkornruecha, an adolescent medicine specialist at Nicklaus Children's Hospital in Miami. That point was echoed by Noa Krawczyk, who is with the U.S. National Institute on Drug Abuse's drug dependence epidemiology training program at Johns Hopkins Bloomberg School of Public Health in Baltimore. "Medication-assisted treatment is not keeping up with the growing need for these treatments among youth," said Krawczyk, co-author of an editorial accompanying the study. "Expanding medication-assisted treatment to youth can avert needless loss of life, disability, incarceration and unemployment," she said. Several factors limit access to these drugs, Krawczyk noted. They include limits on insurance coverage and restrictions against enrolling youth in treatment programs that offer these medications. There's also a stigma that treatment with medications is "only substituting one drug for another," she said. "Changes in policy and clinical practice could help increase utilization of medication-assisted treatment for youth struggling with opioid use disorders, and should be prioritized," Krawczyk said. Although the number of patients treated with either buprenorphine or naltrexone increased significantly from 2002 to 2009, it dropped in 2014, despite the increasing narcotic painkiller epidemic, the researchers found. Moreover, the youngest patients, females, blacks and Hispanics were less likely to be given either drug than other addicts, Hadland said. One limitation of the study is that the data came from only private insurance records. It wasn't possible to determine if patients on Medicaid or with no insurance received the addiction medications. Hadland said parents need to learn to spot the signs of abuse. "Parents should be on the lookout for changes of behavior in their kids," he said. "They can appear tired, sedated and disengaged with friends and family." However, "it's also possible to be hooked on painkillers and not have a lot of signs that are easily seen," Hadland added.